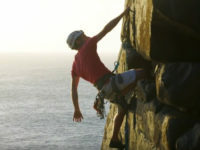 The Climb, with an Australia climbing grade of 18 (5.10-), is a striking crack splitting the middle of a semi-detached pillar called the Old Man, and is often described as one of the best climbs of the grade in the whole country. 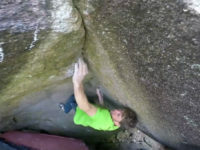 Clinton Martinengo on three rather long climbs at Mt Randall, Perth, including the FA of The Katana. Clinton Martinengo and friends sampling some of the wave-worn coastal granite of Western Australia’s South West. 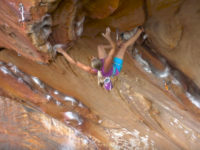 Jorg Verhoeven and Katha Saurwein visit the Grampians Mountains and Tasmania, Australia to sample some of the best climbing and adventures available down under. Clinton Martinengo ticks off the notorious Kryptonite Project at Mt Randall. Well, I’m not officially here for a climbing trip, I’m completing a language course for a Masters degree that begins in September. 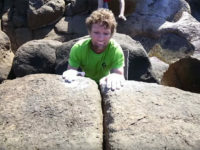 I’ve resigned myself to another 2 years of study so that I can experience some of the wicked European bouldering.